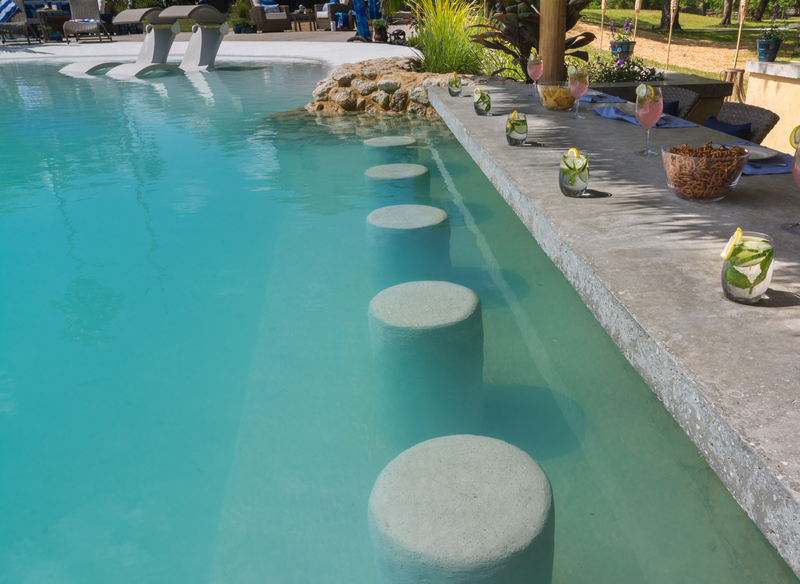 Home » What’s up Dock? 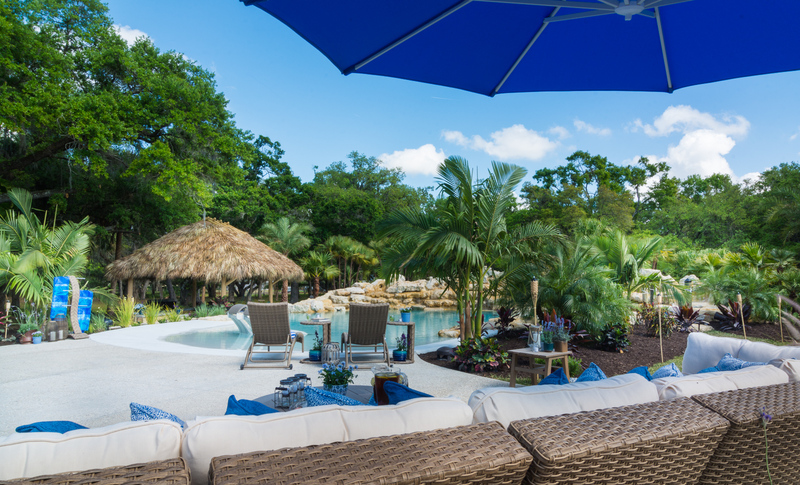 Sarasota Custom Pool Tropical Lagoon Style! 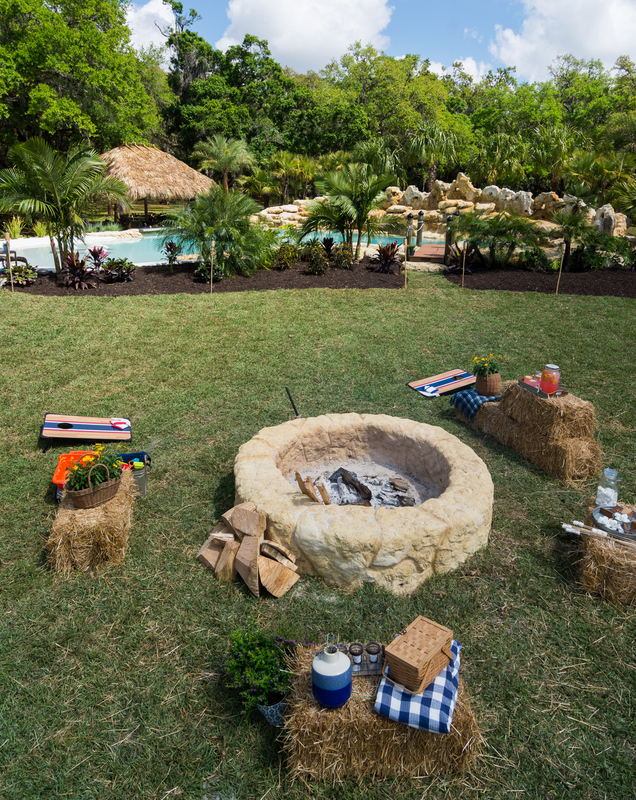 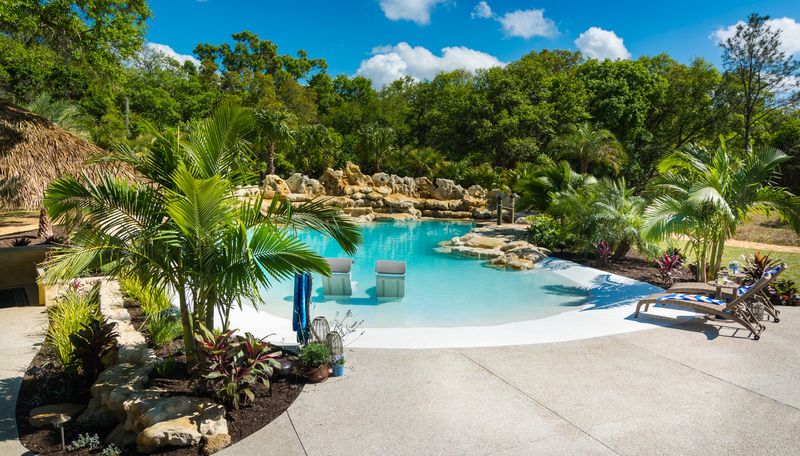 This Sarasota Custom Pool kicks off the season premiere of Insane Pools Season 3 and is one amazing pool design by Lucas Lagoons. 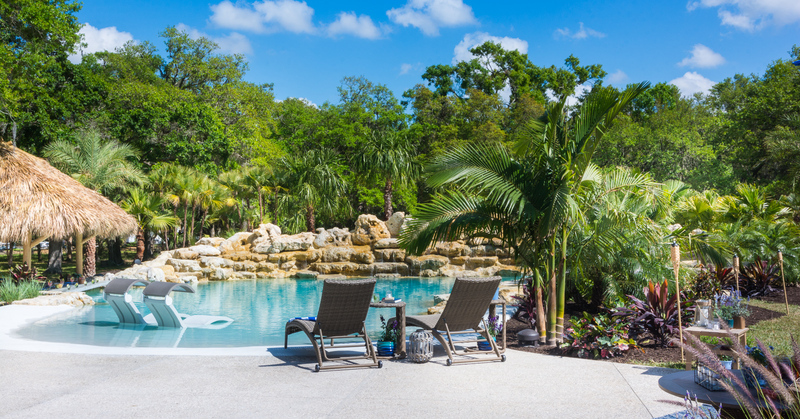 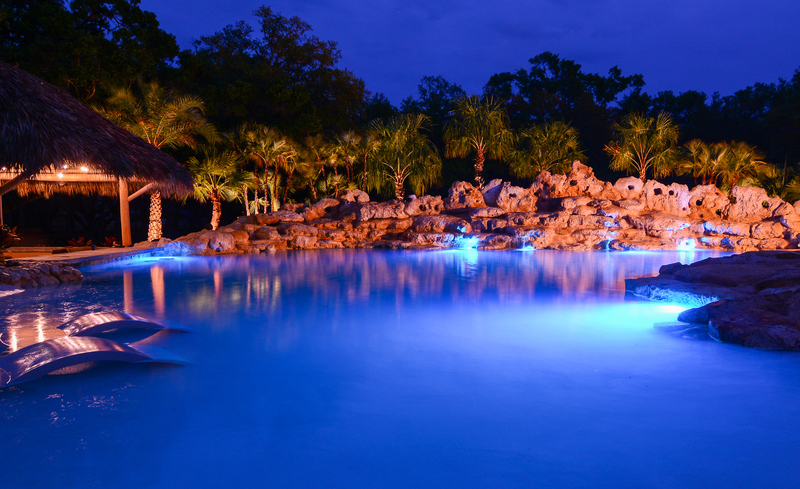 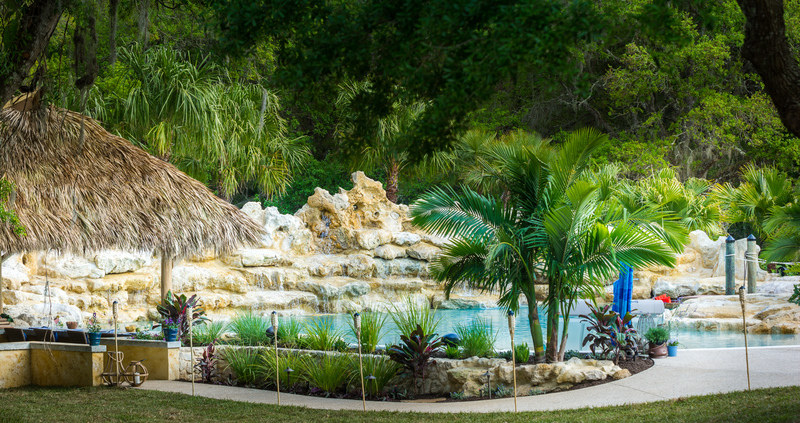 What can’t we say about this custom pool in east Sarasota – it’s nearly got is all, except maybe a spa or hot tub! 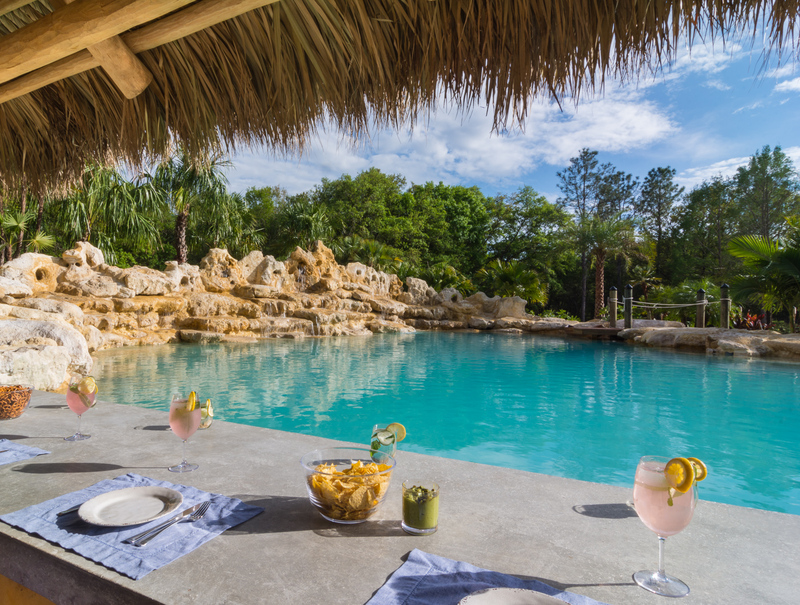 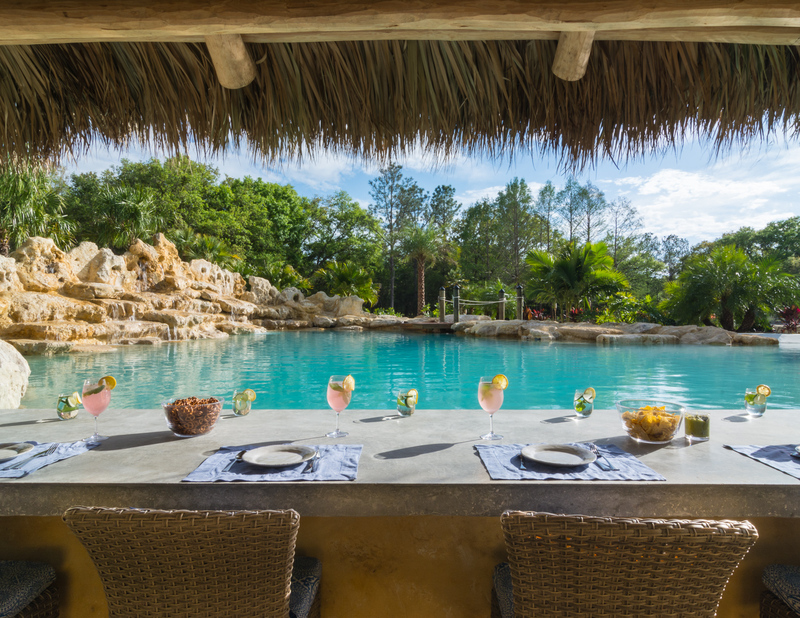 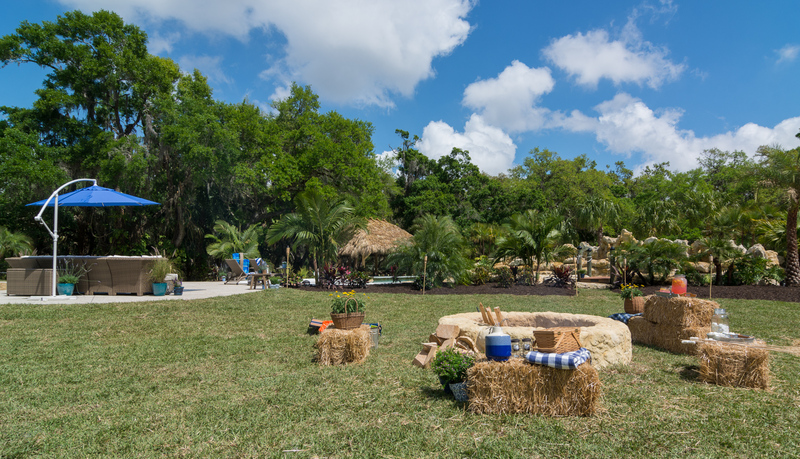 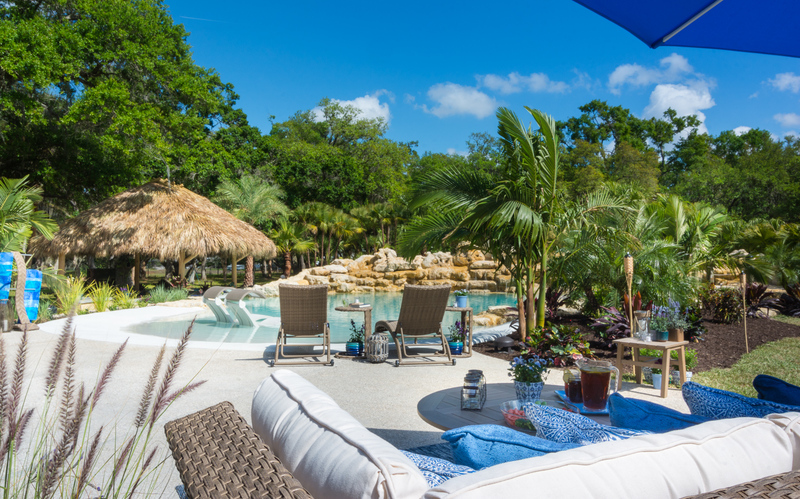 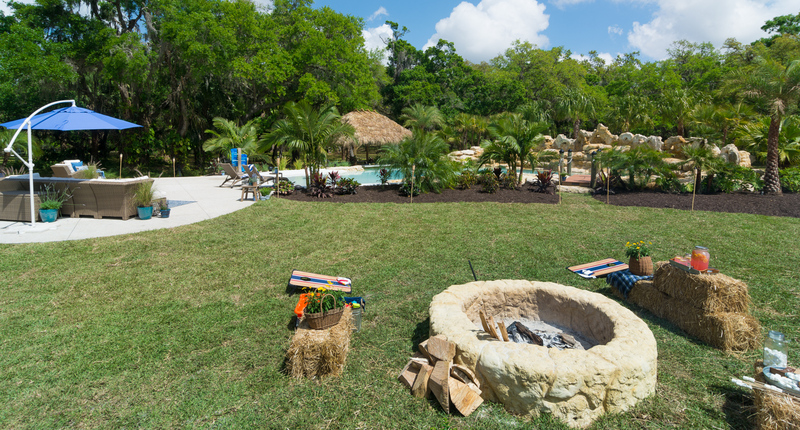 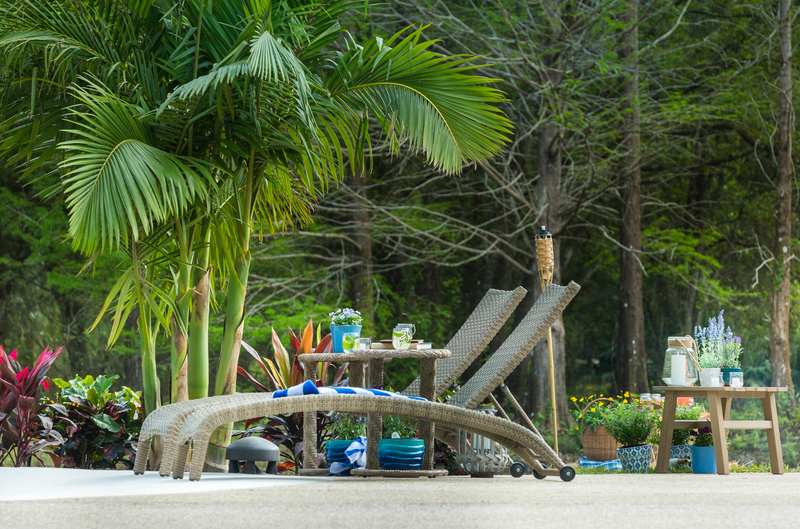 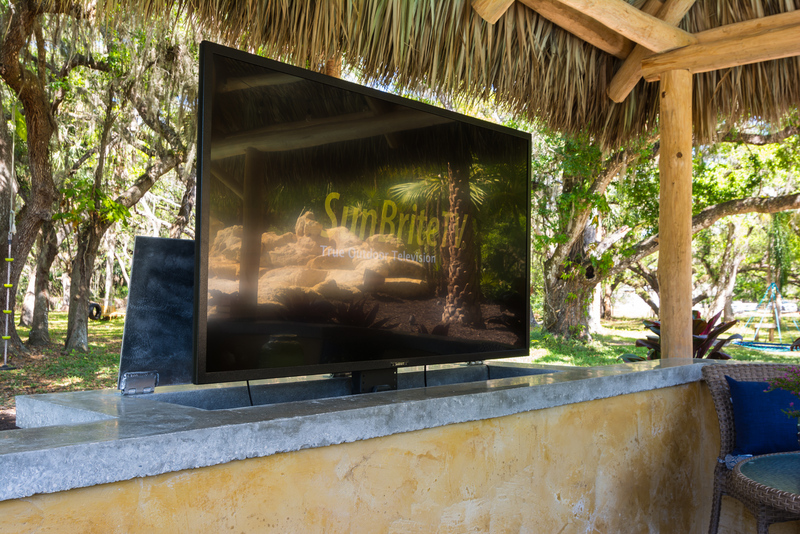 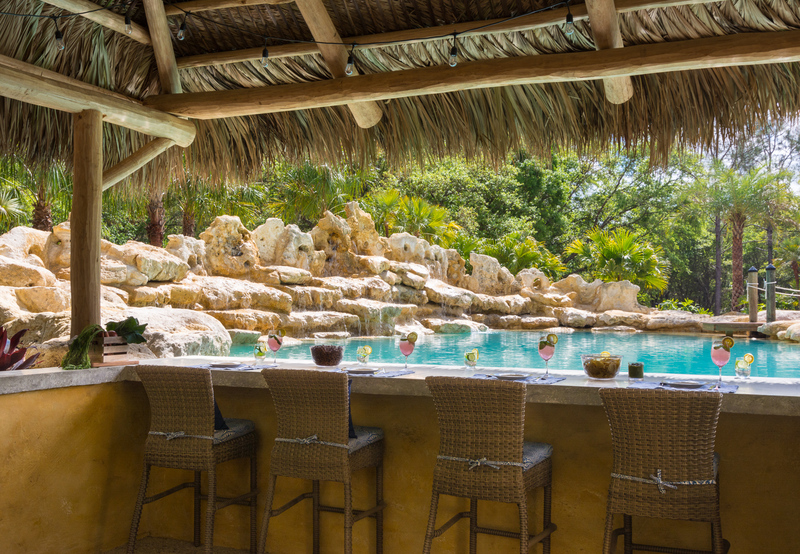 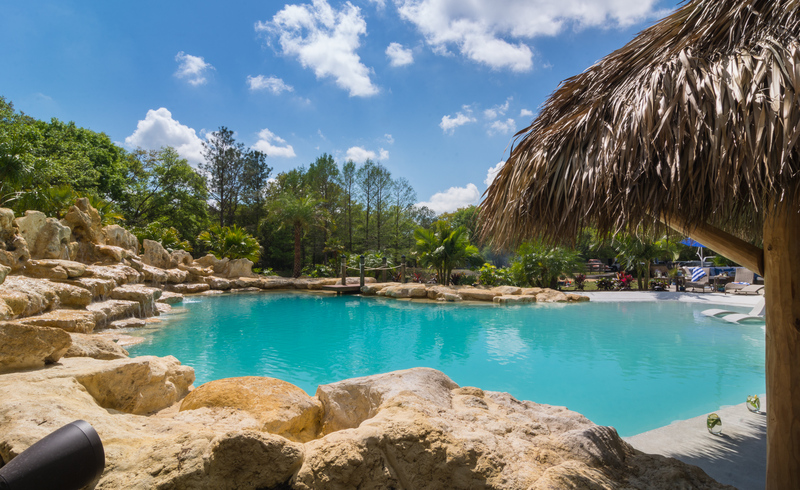 Located on several acres this sprawling tropical lagoon pool features a full width walk in beach style entry, massive fire pit, a dock to jump off and of course a full service swim up bar complete with an outdoor TV for the adults. 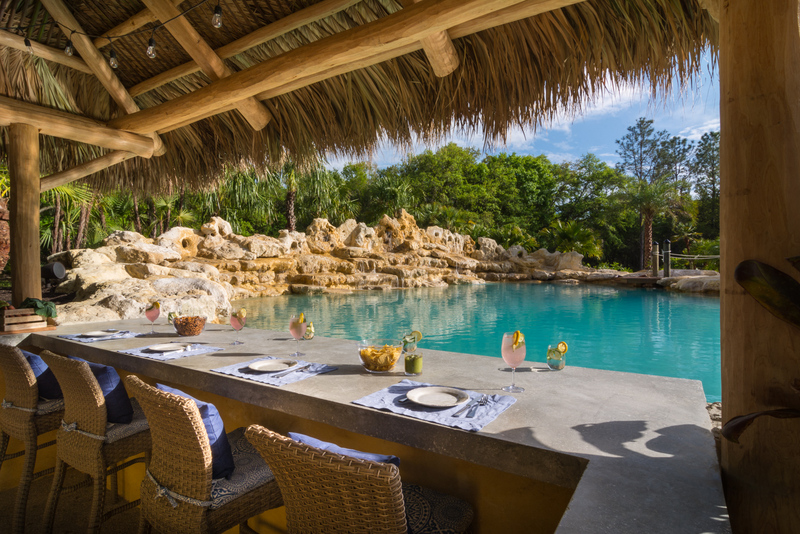 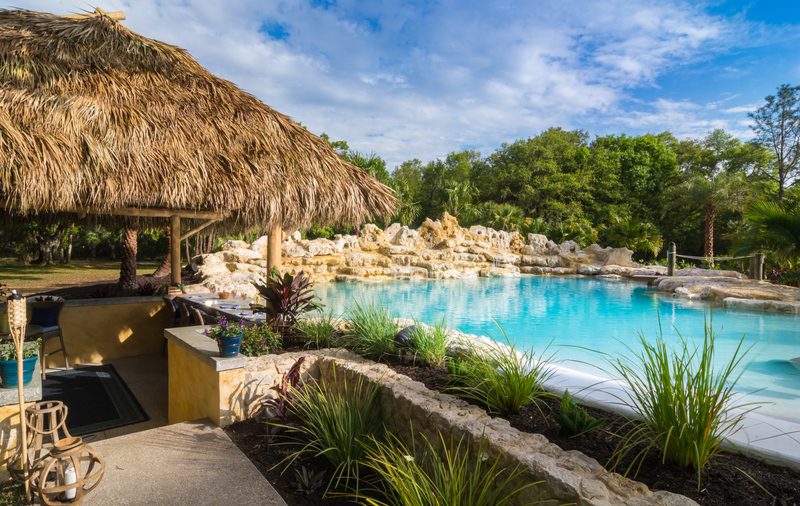 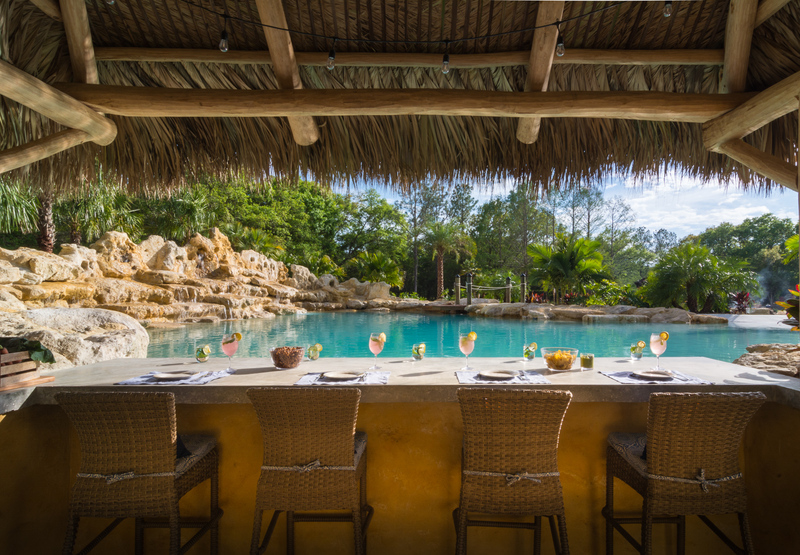 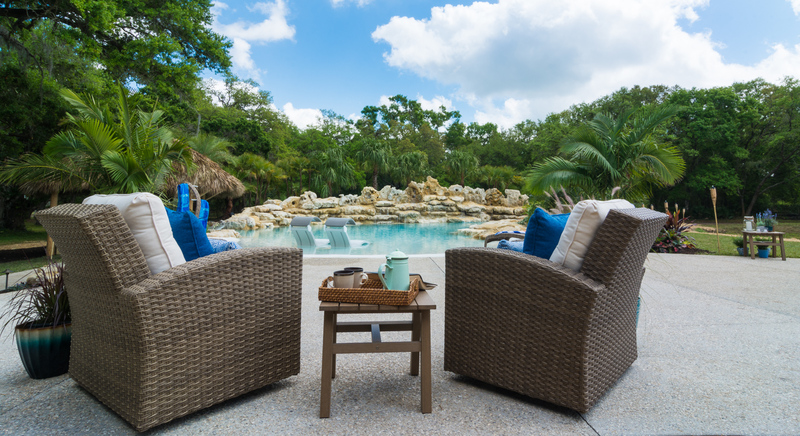 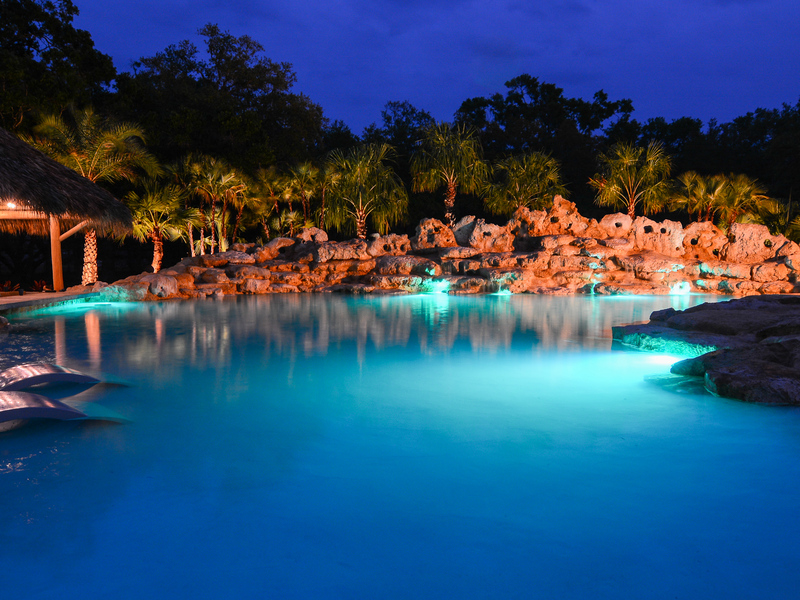 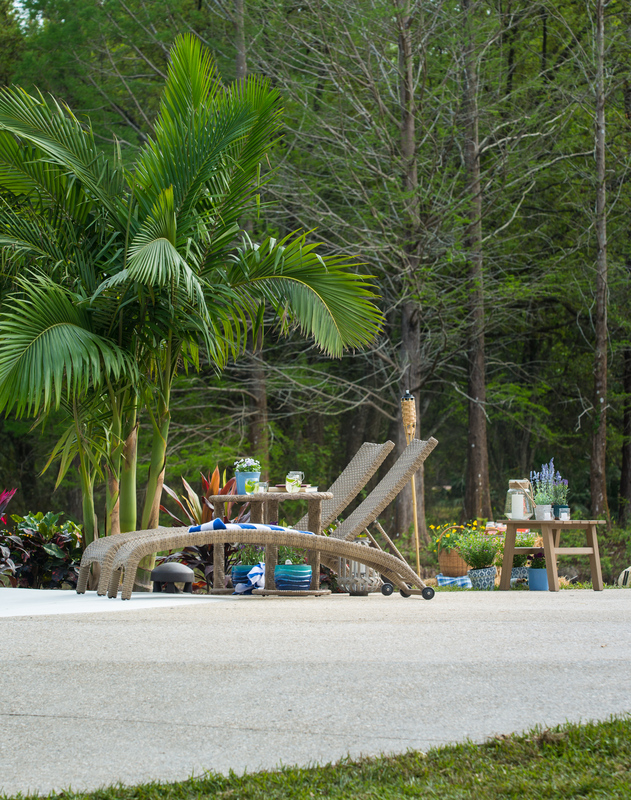 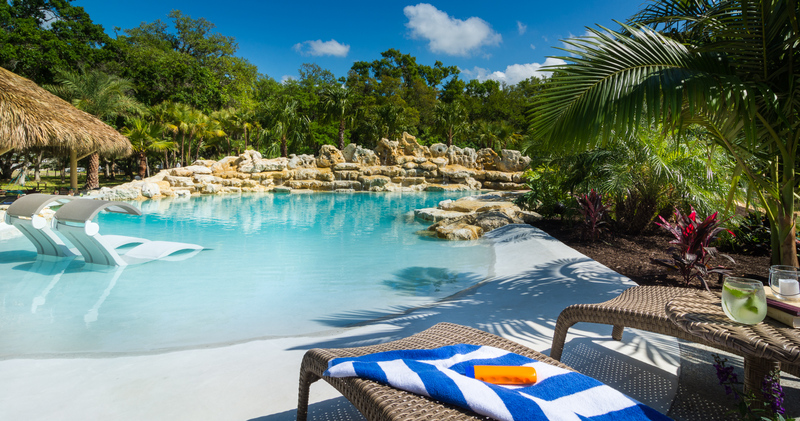 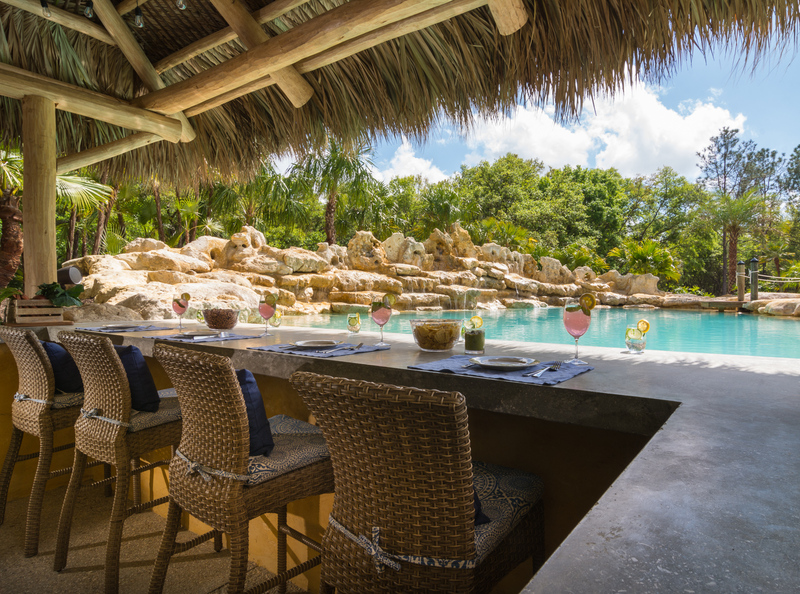 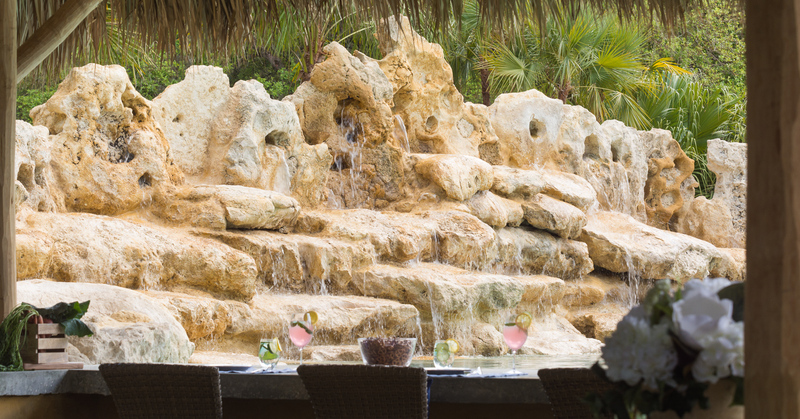 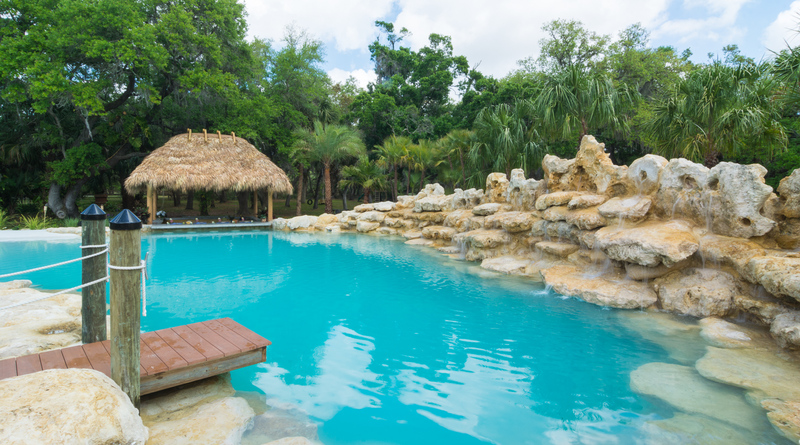 The limestone boulder waterfalls contrast beautifully with the light blue interior finish and offer ample jumping and seating areas across the entire lagoon. 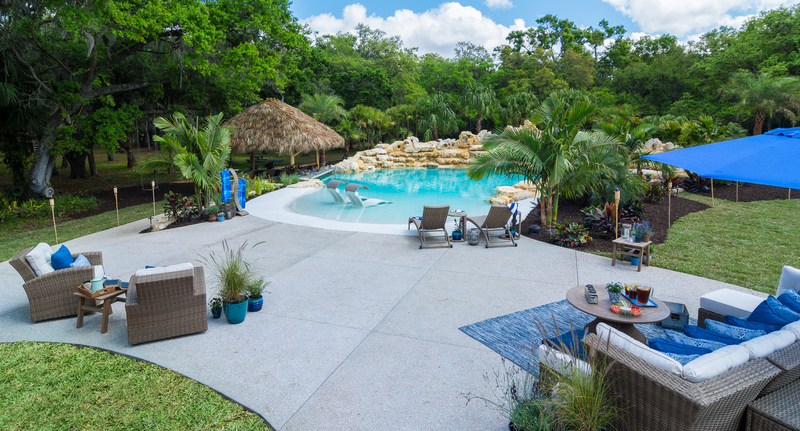 We can’t wait to dive into this new custom pool in Sarasota with Coastal Audio Video!